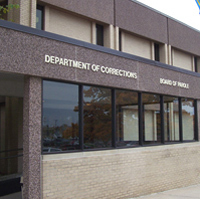 The Iowa Department of Corrections reports a young man serving a sentence of life in prison died after being found unresponsive in his cell last week. Twenty-five-year-old Lucas Faulkner was discovered unresponsive in his cell at the Iowa Medical and Classification Center late last Thursday night, according to a DOC news release. He was pronounced dead a short time later at University Hospitals in Iowa City. The release says Faulkner died of natural causes from a pulmonary embolism, which is when one or more arteries in the lungs become blocked — usually caused by blood clots. Faulkner, who was from Eagle Grove, was convicted of first-degree murder in the May 2010 death 19-year-old Devin Resh of Webster City. The two young men had been on a fishing trip at the time and Faulkner was accused of killing Resh with a hatchet.